Japanese Tanks Arriving in Update 8.10! Are you ready for the Japanese stampede? 14 new vehicles will be added to the game in Update 8.10! 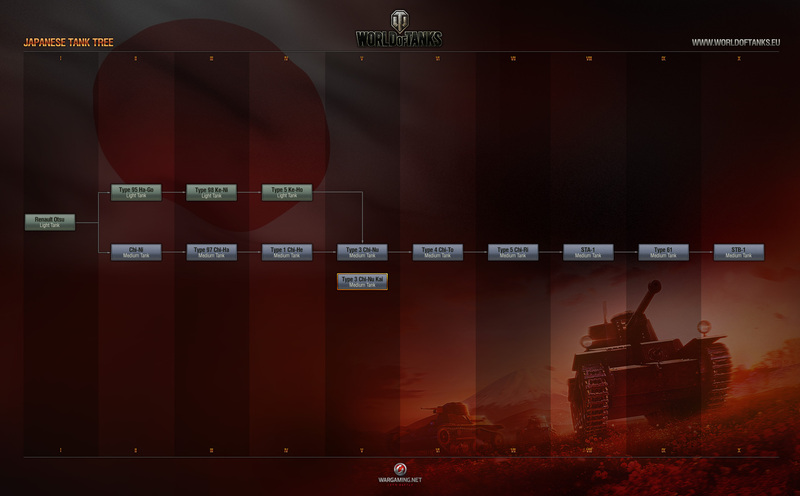 The new Japanese tech tree will feature four light tanks, topped with the Type 5 Ke-Ho, and nine medium tanks, headed by the Tier X STB-1. The Japanese premium medium tank Type 3 Chi-Nu Kai, currently only available in the Premium Shop, will be also available in the game. Version 8.10 will also bring a visual enhancement to the game’s lighting in order to add a greater degree of realism to the game. Stay tuned for more news about Update 8.10 coming soon! It’s time to start speaking Japanese, Commanders!